Vacation. I ask, is there a sweeter word in the English language, in any language? Traveling. Now, that word conjures up visions of a jumbo bag of sour balls! Millions of Americans hope to do both of these activities in the months to come, and now is the time to think about how you will handle your Diabetes care so you can relax, enjoy, and fully explore wherever your destination takes you. All travelers need to plan more diligently when traveling in the world today, but a little extra planning is required when you are living with Diabetes. Encountering a delayed train, a cancelled flight, or a disabled cruise ship in the Atlantic can present some serious complications for the traveler with Diabetes. Whether you are traveling by plane, train, or automobile, I would like to give you a few pointers about medication safety so your trip is everything you want it to be. Once you have chosen your itinerary and method of travel, take a look at what your Diabetes needs are. I suggest that you designate a particular component of your carry on bag as your Diabetes pack. This is a separate bag, preferably clear, that you have set up specifically for traveling. Keep this bag with you at all times, just like any other valuables. You should include anything that you think is important, and I would like to give you a few items to consider as well. It’s a good idea to make sure that you have an updated list of prescription and non prescription medications with you and contact information for your healthcare provider in case of emergency. It may also be helpful to have actual prescriptions with you in case there is a situation where an item needs to be replaced. You should also ask your health care provider for a letter documenting your medical condition(s) and the treatment required so you can present that if needed when clearing security or immigration. Next, be sure that you have enough of what you need. This is a perfect example of where it’s good to pack twice as much as you need of such things as medications, syringes, pen needles, extra glucometer(s) and batteries, test strips and lancets, insulin pump supplies, glucagon kits, and other sources of fast acting glucose sources for hypoglycemic emergencies. There may be a problem obtaining extra medications and supplies due to insurance regulations, however, so check with your insurance company. Some plans may have a vacation override which will allow you to get prescription products ahead of schedule to accommodate your travel plans. Usually you will need a letter from your health care provider explaining the need for a larger quantity. If you purchase your items via a mail order pharmacy, you may need to get the extra quantity at your local pharmacy. Also keep in mind that many large chain pharmacies are capable of filling your prescriptions, if appropriate, wherever there is a branch thanks to computerized records. It is best to fill your pack the night before and day of your trip, so allow plenty of time so as not to forget anything. It’s important to store all medications and supplies in the original container with the prescription label intact. Ask your pharmacy to print up new labels if the original is damaged. Sometimes they can even provide you with labeled smaller bottles so you don’t have to take the entire 90 day supply with you if you don’t need it. 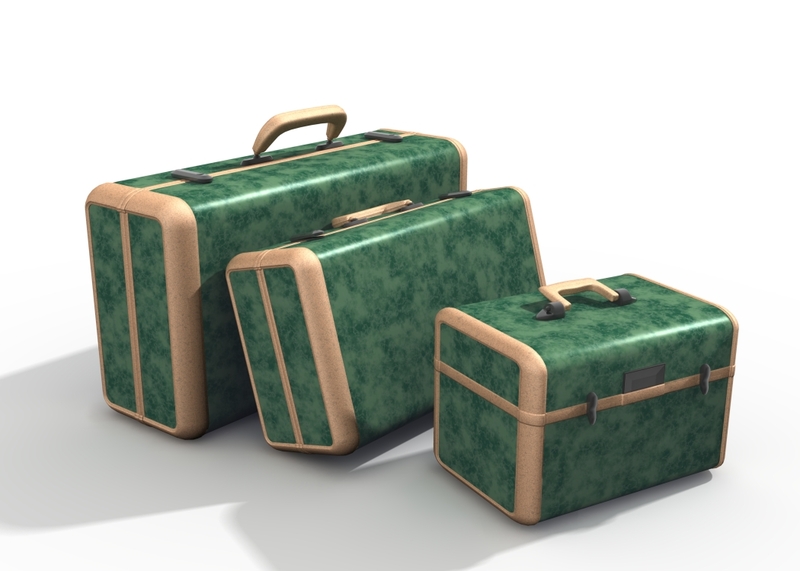 If you are flying, do not send any of your medications and supplies through in checked baggage. There are a few reasons for this. First, there is no way to control the temperature of checked luggage in storage so your things could be damaged by extreme temperature changes. Second, checked luggage isn’t exactly cared for in a tender and loving manner and things can be broken. Finally, things can be stolen from checked luggage, even with TSA approved locks. It’s fine for supplies, insulin, and medications to go through the security screening, but you can request manual examination of your things if you wish. Also note: there are no restrictions on what a person with Diabetes can take on board regarding treating Diabetes and hypoglycemia. Once you are on the airplane you can leave extra syringes, pen needles, and lancets in the overhead bin, but you want to keep your supplies out of the overhead and off of the floor of the plane. Why? The top of the plane and the floor are usually really cold and there is potential for freezing of insulin and test strips. Also, if your supplies are in the overhead bin and you need something in a hurry, you may not be able to get to them as quickly as necessary. It’s best to keep your supplies in the pocket of the seat in front of you…just don’t forget to take them with you after landing! Traveling by wheels or water has similar challenges. You need to keep your pack out of the glove compartment or the trunk, as well as out of direct sunlight to prevent drastic temperature changes that could cause damage. Insulin doesn’t need to be refrigerated, but try to avoid any extreme temperature changes. Freezer packs for coolers can damage insulin, but there are a number of different cooling packs on the market designed specifically for keeping insulin cool. It is also always a good idea to check your insulin before injecting it and if the vials or pens look any different than usual (i.e. Lantus Solostar is cloudy with particles in it) do not use it—throw it out and start another one. Finally, if you are injecting insulin from a vial on an airplane, remember that the plunger can be difficult to work with in a pressurized cabin and could cause you to draw up the incorrect amount of insulin. OK, in the words of my favorite summer song by the Go-Go’s…”Vacation…all I ever wanted…Vacation…had to get away….” Happy travels to all!! For more information please check ww.tsa.gov .